Every year since 2006, we have sung the praises of skiing in the Dolomites. 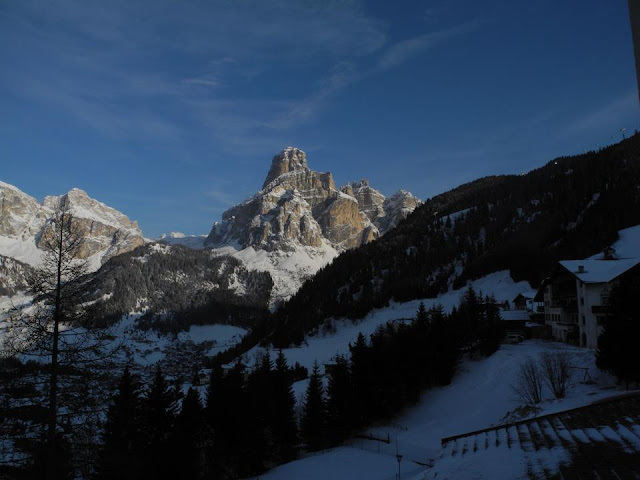 All those elements were present this year and we found a neat, new three-star, ski-in, ski-out hotel – the Hotel Arlara in Corvara - that was better and less expensive than where we have stayed in the past. It is steps from the Arlara chair lift, serves good food, has some nice amenities like a large pool and a sauna. The staff are young, good natured and helpful. Now if they only get their Wi-Fi working properly (it’s terrible and they admit it), freshen up some of the decor in the rooms and make the dinnertime a little bit more flexible, it would be just about perfect. In any event, it represents excellent value. The bottom line on the Dolomites, and I say this as a die-hard fan of Austria, is that it does many things better than the big boys in France, Switzerland and Austria. It’s bigger in terms of skiable terrain but more intimate in feeling. It has no crowds, no lines, exceptional mountain dining and it is generally less expensive. OK, it’s not as high as some other resorts, not big on nightlife and not easy to get to. Still, if you would like to ski the equivalent distance of New York to Chicago on one lift ticket, be dazzled by some of the loveliest mountain scenery in the world and eat the best food ever, No Crowds advice holds firm; head to the Dolomites. Great blog you have here.. It's difficult to find quality writing like yours these days. I honestly appreciate individuals like you! Take care!! Hey there! I've been following your site for some time now and finally got the courage to go ahead and give you a shout out from Houston Texas! Just wanted to say keep up the great work! Hi, I log on to your blogs daily. Your humoristic style is witty, keep doing what you're doing!